Mesa Verde National Park was America's first cultural park and also the world's first cultural heritage park. Created in 1906, it preserves the sites and materials of the prehistoric Puebloan people. Located in southwestern Colorado near the famous Four Corners, where the states of Colorado, Utah, Arizona, and New Mexico meet, the magnificent Mesa Verde is situated in Montezuma County, just south of Cortez and directly west of Durango. The park's rich archaeological history was played out amid some of the most ruggedly beautiful landscapes in the West. The greater story of the evolution of the park encompasses the Ute people, Theodore Roosevelt, novelist Willa Cather, and other personalities. These remarkable vintage photographs tell that saga, which is as fascinating as that of the Puebloans. 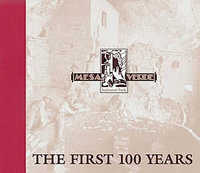 In 2006 Mesa Verde celebrated its first century as a National Park. This book celebrates the park as a whole: From its surprising eighteenth-century discovery to the establishment of the park (thanks to a group of nineteenth-century women) to the inspiration it has sparked in the likes of Willa Cather and Ann Zwinger. 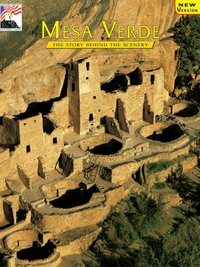 Beautifully illustrated with historic and full-color photos and filled with modern essays and fascinating historic extracts, Mesa Verde National Park is both a keepsake and a wealth of information on a beloved National Park and World Cultural Heritage Site. 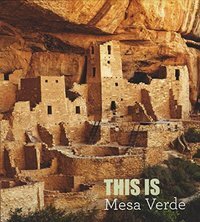 Author Susan Lamb demonstrates an exceptional interprative knowledge of the Ancestral Puebloans, in this stunningly beautiful photographic reference for Mesa Verde National Park. 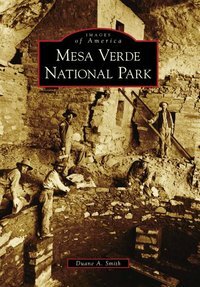 Insightful and heartfelt narratives detailing the park's natural and human histories allows readers to explore some of the mysteries of Mesa Verde. Also includes detailed maps of the park and region. 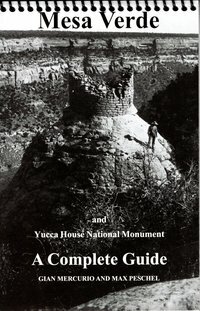 A portion of the proceeds from the sales of this book are donated to Mesa Verde National Park. 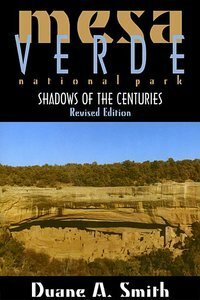 Originally published in 1988, "Mesa Verde National Park: Shadows of the Centuries" is an engaging and artfully illustrated history of an enigmatic assemblage of canyons and mesas tucked into the southwestern corner of Colorado. Duane A. Smith recounts the dramatic 1888 "discovery" of the cliff dwellings and other Anasazi ruins and the ensuing twenty-year campaign to preserve them. Smith also details the resulting creation of a national park in 1906 and assesses the impact of more recent developments - railroads and highways, air pollution, and the growing significance of tourism - on the park's financial and ecological vitality. This revised and completely redesigned edition includes more than 50 illustrations and will be enjoyed by readers interested in environmental, Western, and Colorado history. 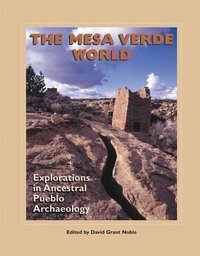 This book is based on a cultural landscape inventory of Mesa Verde National Park's early development. The landscapes described in this book are historic designed landscapes – a landscape that was consciously designed or laid out by a landscape architect, master gardener, architect, or horticulturist according to design principle. The headquarters loop at Mesa Verde is considered an historic designed cultural landscape because it is connected with an historically important person, Jesse Nusbaum; the activities of the Civilian Conservation Corps; and the 1930s movement of national park master planning. This book is created out of a deep interest and respect for those who have endeavored to undertake the often difficult task of making national park resources available to the public while protecting the resources themselves. 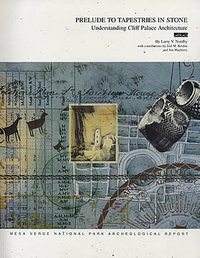 Contains 22 maps and more than 100 historic black and white photographs. Four adventuresome young college ladies decided in 1922 to walk from Ouray through Dove Creek and Cortez to Mesa Verde, returning via Lake City. 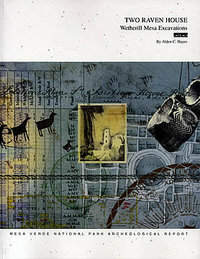 Photographs and illustrations of their trip are included in this little book. Share the splendor and beauty of America's National Parks and natural areas with these postcard books. Each title features the work of America's finest landscape photographers. 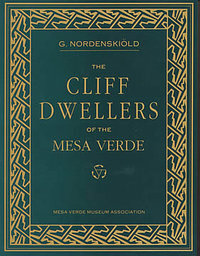 This book is the most up-to-date interpretation of one of the largest cliff dwellings in North America, Cliff Palace. Water seeping into Cliff Palace in late November 1995 threatened the integrity of the site. Part of the mitigation plan included architectural documentation of the most threatened areas in Courtyard Complexes M and J during the winter of 1995-96. This architectural documentation study revealed that there were 151 rooms, 75 other architectural spaces, and 21 kivas in Cliff Palace from AD 1278-1280. Only 25 of the rooms had hearths, implying that they were the only ones used as living rooms. The author thinks these were the residential quarters of a small caretaker population of 25-30 households. Other rooms and open areas may have been used by people who came from other areas and used Cliff Palace for only a short period each year. Included with this report is a full color poster map of Cliff Palace. 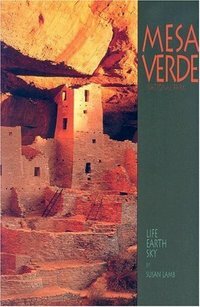 This Is Mesa Verde has stunning photographs and interpretive text that allow you, the reader, to learn more about the beauty and wonder that Mesa Verde has to offer each visitor. A monograph in the Wetherill Mesa Project in the Archaeological Research Series.On a sunny day in May of 1960, Jerry Melbye found the rubble ruins of a small pueblo in an open glade of sagebrush. A steel stake bearing a site number was driven into the mound and it was recorded that here was a single story house of from 9 to 12 rooms fronted by a kiva and an extensive trash mound. The report is largely descriptive with a minimum of interpretation and no attempt to define archaeology or spell out cultural history. Following in the wake of what one noted scientist called 'transients who neither revered nor cared for the ruins as symbols of the past, ' the Wetherill family became the earliest students of Mesa Verde. Their careful excavations and record-keeping helped preserve key information, leading to a deeper understanding of the people who built and occupied the cliff dwellings. As devout Quakers, they felt they were predestined to protect the historic sites from wanton destruction - a role that would not be assumed by the government or other institutions until years later. 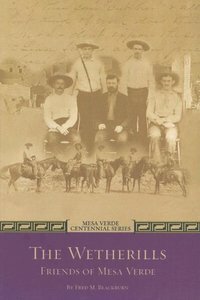 Based on decades of meticulous research, author Fred Blackburn sets the record straight on these early protectors of Mesa Verde. This book is a visitor's guide to some of the more commonly seen plants of Mesa Verde National Park. It was inspired by Stephen Wenger's wonderful book, Flowers of Mesa Verde National Park, that was published over thirty years ago by the Mesa Verde Museum Association. To facilitate identification of the plants, both a close-up of the flower or cone as well as a photo of the entire plant are included for each of the featured wildflowers, tree, shrubs, cacti, and grasses. 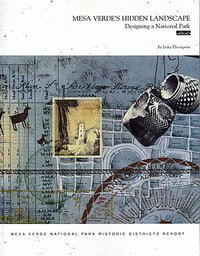 Uses by Indians and ecological information have been incorporated into the book. There is a place at the bottom of each page to record when and where each plant was first seen. Invasive plants that have created problems in the area are discussed in a special section at the end of the book.